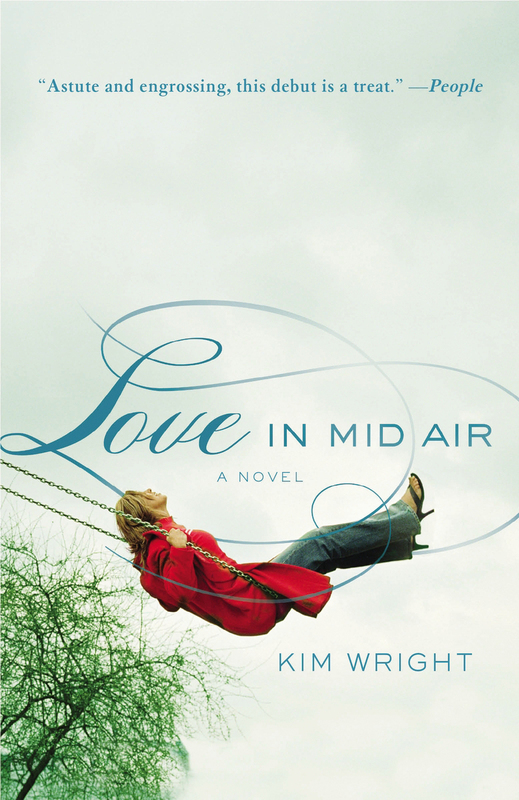 Kim Wright's wonderful new novel, Hiding in Plain Sight, is about female friendships, marriage, infidelity and how we shape and view our lives. I asked Kim if she'd write something for me, and I'm honored to host her here. Thank you, thank you, Kim! In the mystery I’m working on now I’ve got a character – my bad guy, my villain, my favorite – who brags that he knows how to hide in plain sight. He explains how his father took him quail hunting as a boy and taught him that success wasn’t a matter of complicated subterfuge but rather knowing how to blend into your environment so that the birds registered your presence, but didn’t perceive it as a threat. It’s his method for murder and my method for writing. Writers have complicated feelings about being seen or unseen. On one level, our profession depends on our ability to observe things without being observed in return. In that way we’re like spies, and I spent my childhood, in fact, sitting in a tree in my grandmother’s yard wearing a black turtleneck and pretending to be a secret agent. The superpower I most craved was invisibility and recently I’ve come to understand that this was a common fantasy among children who grew up to be writers. Years later, as a college student determined to master the rhythms of dialogue, I would sit in a mall food court with a notebook, eavesdropping and transcribing conversations. The realities of writing only make our natural born tendencies toward isolation and sneakiness worse. We work alone. We rarely talk to others. We squirrel away into corners. We mutter. It’s pretty close to my childhood dream of invisibility. And then the book comes out. All of a sudden, with a speed that seems both jarring and cruel, we’re expected to transform ourselves into public characters. While the job of the writer is to write, the job of the author is to tweet, blurb, blog, tour, engage, and promote. Of course we want our books to be successful and all that comes with it. We want to be seen, seen often, and preferably seen on Good Morning America. But even these frenzied marketing attempts are a snap compared to the other ways in which publication makes us suddenly visible. Because when people read your books, they feel that they know you. More specifically, they believe that your main character is you. I’ve stood in front of many groups and sat in the circles of many book clubs, fielding the same questions: Is the book autobiographical? Is Elyse you? In some ways I’ve invited this assumption, since I set my novel in my own home town and made my heroine a woman who is about my age, also divorced, and someone who furthermore has - as so few people do - brown hair. But I suspect writers go through a variation of this scrutiny even if they set their books in 15th century Japan or 28th century Saturn. We all put our own thoughts into our character’s heads, our own fears into their plot twists. We all have one that we identify with most, whether we share surface similarities or whether we deliberately cast our secret selves into the character who least resembles our public persona. The resultant characters are us and not us and there are a thousand different ways to talk about this, different levels of confession for each writer which feel appropriate and true. Sometimes I think the whole writing-to-publishing process is designed to take people who are half-crazy already and drive them fully insane. Because the first part of the process, writing, requires you to be anonymous, and the second half of the process, publication, requires you to be famous. And when someone stands up at a reading and quotes your own words back to you, it feels like you’re not only seen, but exposed. But it’s part of the process, so writers who plan to keep writing learn to deal with it. For me, proclaiming that all of my characters are actually parts of myself - and yes, in many ways, Elyse more than any of them - is my own little ruse for preserving some privacy. If you say there’s no mystery, then no one tries to solve the mystery. In the meantime I struggle with the issue of someone who simultaneously wants to be seen and unseen. And, like my fictional bad boy, I’ve opted to hide in plain sight. I first heard Carey Wallace at the fabulous Word bookstore in Brooklyn, where we were doing a group reading. Not only did she read from her exquisite new book, The Blind Contessa's New Machine, but she sat in front of a keyboard and she sang. I was so gripped, I forgot my own stage nerves. I could have listened to her read and sing forever. I'm thrilled to have Carrie here. I had the rare pleasure of hearing you sing at Word in Brooklyn and I came up and told you afterwards how haunted I felt listening. So tell me about crafting songs. How is it different for you than writing a novel? Songs and books come to me in almost completely opposite ways. In both cases, I have a strong sense that I’m discovering something, rather than building it – that the process is one of searching for something that’s already there, rather than gathering pieces, laying plans, and hammering it all together. But because books take such extended concentration, I’ve followed a practice of discipline in writing for all of my adult life: I write for two hours every working day, whether I have any desire to or not. Songs, on the other hand, tend to arrive unbidden. I don’t go looking for them, I just take them as they come, and when they do, I write them anywhere I happen to be, over the course of several days, mostly by singing the pieces I’ve got over and over in my head until the missing lines or sections emerge. Once the writing process is finished, the reaction you get to songs or books is also really different: even people who’ve loved you for years tend to blanch when you mention you’ve got a novel they might like to read, but total strangers want to hear your new song. Each song in your gorgeous CD refers to a literary work. What made you choose the books you chose? Since my songwriting process is so mystical, the books actually seemed to choose me. When I wrote them, last summer, I was living in Michigan, caring for my mother in the small town I grew up in, as my first novel came out. The songs, and the books, that emerged from that time were about family, especially mothers, about hope for a world beyond this one, and about how the worlds we’ve left behind haunt us. The books all in some way intersected with these themes, and I mined them for images as I explored those themes in my own life. The Blind Contessa, your novel, is this achingly beautiful novel about love and imagination. What sparked the idea for this novel? Carbon paper. I was actually writing an early draft of a noir novel set in Detroit, and wanted to make sure that the carbon paper I planned to use in it wasn’t an anachronism. When I looked up the advent of carbon paper, I discovered the story of the invention of the typewriter, which was invented at the same time by the same man (carbon paper was used in the original machine to make the image of a letter on the page). The elements of the story: a blind woman, an eccentric inventor, the hint of love triangles, and the typewriter itself seemed clearly the foundation of a novel. What was it like writing a first novel? How is it different from your writing life now? There are a number of candidates for my first novel: a fifty-page tome, heavily influenced by Dumas and full of flounces and French names, that I produced in the fifth grade; a full-length novel about a kid who sells his parents house, and takes the money and four of his friends to Disneyland that I wrote in college; and Choose, a forking paths novel about predestination and free will that was printed in an extremely limited run by a now-defunct press in Detroit in 2006. By almost no definition but the commercial one is The Blind Contessa’s New Machine really my first novel. Interestingly, in the golden age of American publishing, publishers generally recognized that it took three full-length novels for a writer to come into their own, and, because those publishers didn’t face the same financial constraints as publishers today, they were committed to nurturing their authors through that process. It’s stunning to see how many significant novels are the third book of an author who was nurtured through this process, among them The Great Gatsby and A Farewell To Arms – and how little resemblance these mature books bear to the first novels that preceded them (This Side of Paradise and Torrents of Spring). I get quite sad about what great books we may be losing today because writers are now expected to accomplish their apprenticeships on their own. In some cases, the fight sharpens us and makes us stronger. But I believe many of the literary treasures that emerged from previous generations might never have seen the light, or perhaps never have been written at all, in our current climate. Hydroelectricity in Paraguay. A good friend of mine is about to defend her brilliant dissertation, which I’m now editing, on the topic, and it’s actually incredibly fascinating: Paraguay shares the world’s most productive hydroelectric dam with Brazil, which is something along the lines of New York state damming Niagara Falls and then trying to split the electricity equally with Rhode Island. The story has all kinds of other amazing details—a priest who becomes president, hidden caches of torture records—but also wide implications for the pressing question of what it means to be a state in today’s shifting global world, and the future of negotiations around borders, energy, and the economy throughout Latin America. How can your readers get a copy of Songs About Books for themselves? First of all, Songs About Books isn’t for sale – it’s a gift, part of the celebration surrounding the paperback release of The Blind Contessa’s New Machine. Anyone who wants to can download all the tracks for free athttp://www.careywallace.com/songsaboutbooks/songsaboutbooks.html. And if they’d like a super-beautiful actual CD, which is full of antique photographs of people holding books, they can send me something in trade. So far I’ve traded CDs for everything from translations of Italian poetry, to a box of pasta and homemade marinara sauce, to a single perfect rose from my favorite flower-shop owner. (Trade directions can also be found at the address above.) In September, I’m going to begin posting the trades in a gallery on my website, to share all the beautiful things, but also to create connections between the people who made them – so if you’re an artist yourself of any kind, be sure to include your website with whatever you send, and I’ll make sure to link to it. I've already run a piece about two writers who are now going to publish with the Fiction Studio Imprint, but now I have the man behind the The Fiction Studio Imprint, New York Times bestselling author, former publisher of Avon Books and Berkley Books, Lou Aronica. An invitation only imprint, The Fiction Studio publishes books in paperback and e-book format and it represents a revolutionary new way of publishing. Aronica,created this new frontier, a gathering of “ambitious wildly creative writers.” To read the whole story, look here. I'm thrilled to have Lou here. You have a fascinating background, coming from the world of traditional publishing. Why don’t you think this model works anymore? And can you tell readers something about the way Fiction Studio Imprint changes the rules? I'm not saying that the traditional publishing model doesn't work anymore. What I'm saying is that it doesn't work for enough people any longer. I'm going to sound like an old codger with this, but back in the day, when I was a publisher at a big house, we offered writers a decent up-front income, careful editorial attention, and appropriately scaled marketing support (after having walked six miles uphill in the snow to get to work). When a traditional house is still willing to do this, it works very well for a writer. However, that combination of financial, editorial, and marketing is increasingly rare. Meanwhile, the market has shifted in the writer's direction. Manufacturing and distribution – huge barriers to entry in the past – aren't an impediment as long as you can accept the online bookselling world as your marketplace. Many writers have visions of their books in bookstores all over the country. That's a very appealing vision, but you need to be willing to accept the baggage that comes with it in the form of heavy returns, pigeonholing, and publishers turning down your next book because the previous one didn't sell enough to keep the booksellers interested. When I started Fiction Studio Books, I established a relationship with our distributor, National Book Network, that allows for bookstore distribution. I knew I was going to hold that in reserve, though. Because the focus of the program is on developing audiences for writers, I felt that the development had to happen on the digital side. Having the ability to distribute into the physical retail market means that if a book takes off to the point where we would feel comfortable with a physical distribution, we can do it, but we've had some very successful books already and I still haven't hit that point. By focusing on the digital side, Fiction Studio can publish a much wider range of fiction and take the time necessary to build an audience for a book. The most significant way in which Fiction Studio changes the rules is that it is essentially a writer's collective. I'm the curator – I need to love every book we publish – and I make my thirty-plus years of publishing experience available to every writer on the list, but the writer remains in control of the publication and keeps the overwhelming share of the publishing income. I set it up this way because I wanted Fiction Studio to be a community of writers working together and sharing ideas. We've already gotten some nice results from that. You published your novel Blue yourself—and made it a bestseller. I speak for every writer out there: how, how, how, did you do this??? The reason I wanted to publish Blue myself was that I knew it wasn't a novel that publishers could easily position. It's a father-daughter novel, but it's also a fantasy novel. One viewpoint character is a man in his early forties, another is his fourteen-year-old, largely estranged daughter, and the third is the twenty-year-old queen from the bedtime story world they created when the daughter was much younger. It's about the affect of divorce, but it's also about the value of imagination. I'd spent six years writing it, and I could imagine every publisher saying, "Yes, it's a nice story, but where do we put it in the store?" I knew there was an audience for it, though, and I felt that I needed to try to find it for myself. Because I wasn't concerned about physical distribution, I didn't have to worry about the book selling in the first two weeks, and I didn't have to worry about where the book was going to be placed. That allowed me to be more patient with the publication and to cast a wider net in trying to draw attention to it. The first step was getting blog reviewers to take it under their wings. I pitched three different markets – the general fiction readership, the sf/fantasy readership, and the teen fantasy readership, and I got very encouraging review attention from bloggers in all three areas. I received about seventy reviews for the book and only a couple of them suggested that I consider a career in the fast food industry. Once I'd established the novel's credibility, I decided to drop the e-book price dramatically. I couldn't do anything about the print price because those books had to be printed, but I realized that I'd already spent all the money on e-book production that I needed to spend (copyediting, proofreading, cover design, conversion, etc.). If I looked at that expense as a "sunk cost," everything I made thereafter was profit. That's the thing about the e-book business: it doesn't cost you any more to sell twenty thousand than it does to sell twenty. If I could take price out of the buying decision for the reader, maybe I could sell many, many more at $2.99 than I was selling at $9.99. That's when the book took off. I think the combination of the great reviews and the low price made it easy for readers to download. I don't think either by itself would have done the job. Essentially, I used a very old technique. I saw the first life of the e-book as the "hardcover" to gather reviews. I then used the cred those reviews offered to sell the lower-priced edition, the "paperback reprint" if you will. One thing you said, which I loved, was that writers are now getting second and even 10th chances to get their work out there in front of the public, which means there are a lot of sharks out there. Do you have any caveats for writers who want to go a non-traditional route? While the barriers to entry are much lower than they've ever been, publishing is still a foreign experience for most writers. Many of them will seek help, and some people will try to take advantage of them. My feeling is that a writer should never pay a fee for publication. There are genuine costs involved in getting a book into the market. You might need a professional editor. You will definitely need a professional copyeditor. You will need a professional proofreader. You will need a professional cover designer (notice the repeated use of the word "professional" here; this isn't a cute literary device – there's an enormous difference in working with experienced professionals). You will need pages designed and composed for the print edition, and you will need a conversion house to create the e-book file. You will need to print copies for marketing purposes and spend the money to mail those copies out. You may need a marketing professional to help you promote the book. All of those are legitimate expenses and there are many excellent freelancers out there providing these services. However, any publisher charging a fee beyond the cost paid to the freelancer isn't, in my opinion, a real publisher. If a publisher is making money on a publication before the author sells a single copy, it's difficult to believe that this publisher is working in the writer's best interests. Your imprint is by invitation only. How are you finding your writers? And what should a writer who wants to be noticed by you do? The reason the imprint is invitation-only is that I don't make any money on a publication unless the books sell. Therefore, I need to believe that the author is going to be an extremely active partner in the publication. This isn't something I can identify simply by reading a manuscript. 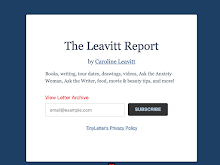 Therefore, I look for recommendations from people in the industry, writers who strike up a correspondence with me, tips from the guy at the farmer's market, that sort of thing. I'm going to go over my title target for the first year, so this method seems to be working (and thank you, Caroline, for sending two fabulous writers in my direction). If someone wants to get my attention outside of these methods (I've heard that the guy at the farmer's market isn't above taking a little "seed money," if you know what I mean), they need to show a real interest in the process. I want to work with writers who are interested in writing and publishing. You can't really be a valuable member of the collective if you don't care about how things work in this industry. Then, of course, you need to get my attention with the writing itself. I'm far more interested in characters and character evolution than I am in plot or setting. What’s next on the horizon for the Fiction Studio? In other words, what’s obsessing you about the book business? I'm hugely optimistic about the business right now, more than I have been in a very long time. Digital publishing is liberating in so many ways. Still, the publishing world is changing daily, and what's working right now will seem quaint in a few months. My real obsession at the moment is sustainability. How does a writer find an audience and keep that audience? Much of the energy in the business right now is coming from pricing and the growth of the user base (all those people getting their first Kindles, Nooks, iPads, Sony Readers, etc.). That allows for a certain level of success to come simply from seizing opportunities. However, sustainable success is going to come from staying in readers' minds. How do you capture the moment while working for the long-term. That's what gets me up very early in the morning. 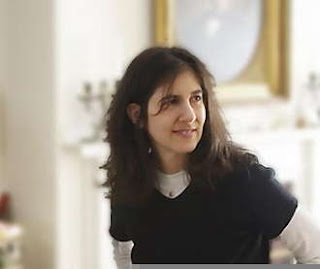 I first interviewed Melanie Benjamin for her exquisite novel Alice, I Have Been, about the real Alice in Wonderland. When I was on my book tour, and in the middle of the worst blizzard in Chicago, not only did Melanie come out to hear me read, she drove me back to my bed and breakfast AND she waited until I got in, which was a good thing, because the door would not open with my key. That's an amazing person! I couldn't wait to read Mrs. Tom Thumb, because I had loved Alice, I have Been so much, and I was completely knocked out by the story. (It's already an August Indie Pick.) Lush, beautifully written, filled with drama and one one of the most vividly interesting women around, Mrs. Tom Thumb is just spectacular. 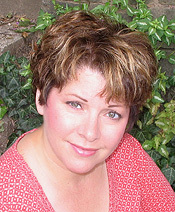 I'm honored to have Melanie here--she's just a wonderful writer, and a terrific friend. 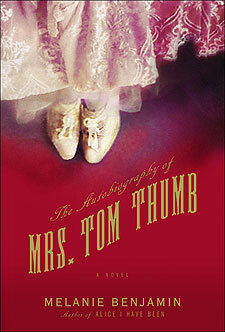 Where did the idea for Mrs. Tom Thumb come from? I was half-way through the 2nd book of my contract when I knew it was a dead end; I couldn't finish it. Yet I had a deadline mere months away! Before I told my editor, and gave her a heart attack, I knew I'd better come up with another idea and maybe a chapter or two. So I started Googling like mad, paging through lists and lists of historical events, figures, women - I did know the time period that I wanted to write, as well as the setting. Since ALICE was set in England, I wanted my next one to be an American story. On one of those lists I saw the name "Lavinia Warren Stratton - aka Mrs. Tom Thumb." It rang a bell and I remembered that she was in a small scene in one of my favorite books, E. L. Doctorow's RAGTIME. She was feisty, even in his book. So I started researching her and was immediately enchanted by her story and her voice. As far as what she has to teach us - it's both an uplifting, and cautionary, story. Uplifting in that she truly never saw any limits, any obstacles - but cautionary in that she started to believe her own hype, in a way. She very willingly traded on her stature in order to see the world, but then somehow deluded herself into thinking others didn't see her, first and foremost, as a dwarf. When I write, I really try to "become" the protagonist; it's the only way I can capture the voice. So Vinnie's voice was entirely different from Alice's, and thus, the book has an entirely different quality. ALICE was more lyrical, more dreamy - befitting the ALICE IN WONDERLAND books. MRS. TOM THUMB has a verve, a pulse - I think it's a uniquely American story, written in a uniquely American style. As Vinnie herself would have told you, she was a proud patriot, and I truly tried to capture something of that in the book. As far as what surprised me - her relationship with Barnum. That became the driving point of the book; I began to understand he was the only person in her life with a personality as big as her own. And I'm never consciously aware of "deciding" on a structure - I just let the book appear to me as it wants to. As someone who was drowning in research this year, I have to ask you, how do you do it? Research is fun! I love immersing myself in history books, finding amazing websites (and there are so many, as this book takes place against a rich panoply of American history). The only pitfall of research is spending too much time in it, and forgetting to tell the story! The characters and their relationships have always to be the main focus of the book; the historical details are important and rich, but they can't overwhelm the characters and their stories. Come on, tell us about your writing life! My writing life, now that I have one book out (ALICE I HAVE BEEN), one just out (THE AUTOBIOGRAPHY OF MRS. TOM THUMB), and one I just turned into my editor (for publication next year), is much more difficult than it used to be! I have to be much more disciplined, giving a certain amount of time over to paperwork, busy work - work, in other words! Which means I have to carve out my writing time, whereas before, my entire day was devoted only to writing. So in the mornings I usually do the busy work; in the afternoons, I write. Many of my evenings are now taken up with calling or SKYPING with book clubs, which is a joy. Right now, I'm drawn to a couple of eras; one is pre-Civil War America, the other is the early days of Hollywood. I'm going back and forth, but keeping an eye open for anything else that might inspire me. I have a bit of time before I have to start the next book - the one that will be out in 2 years. You should have asked me what my favorite part of being an author is - because I would have answered, "Meeting fellow authors like you!" 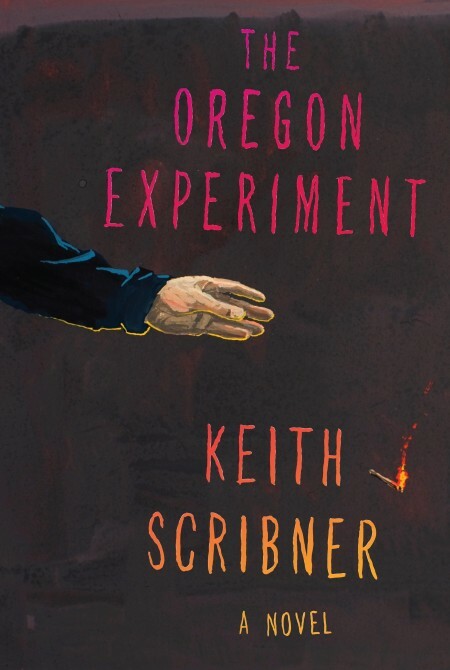 Keith Scribner’s third novel The Oregon Experiment is irresistible. Trust me. 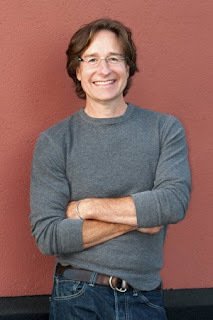 His two previous novels include The GoodLife and Miracle Girl . The GoodLife appears in translation, was selected for the Barnes and Noble Discover Great New Writers series, and was a New York Times Notable Book of the Year. 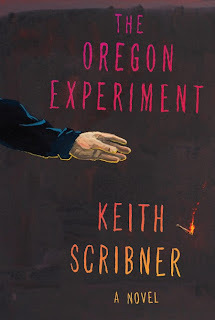 I loved The Oregon Experiment and am thrilled Keith agreed to let me pepper him with questions. Thank you, Keith! I love the fact that you have a professional "nose" in the book. That brilliant element did what the best works of literature do--it made me see and feel and experience the world differently. So tell me about the research you did for this. What did you find that surprised you?" I read at least 8 or 10 books about the nose and how we smell, about perfume making, and about anosmia. Then I was very lucky to be introduced to a perfume maker in San Francisco, Yosh Han. She invited me to her studio and I spent the day making (with her help) the perfume that Naomi is trying to make in the book. It was really fun, intoxicating, fascinating. She lined up all her nastiest smelling Northwest essences to make the frog juice. I told her about the frog and the auto body putty. As I describe in the novel, it's a process of selecting then editing. Although many perfumiers use dipsticks (as Naomi does in the novel), Yosh lines the vials up on her worktable and sniffs them in order from base notes to top, then back down. In one long breath, you try to take in the full essence. 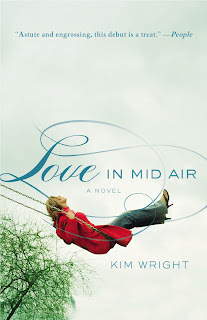 Just this week I wrote a blog on this subject for Powell's Books. I think what surprised me most was to learn how many people never think about smells and claim they can't smell at all, AND that people for whom smell is important (like Naomi) who lose it are so completely devastated. Also, that the relationship between smells and tastes is even closer than I'd thought, and that certain things, like basil and mint, are actually more smell than taste although we perceive them as tastes. I also adored the whole secessionist movement in the novel. It seemed both divinely inspired and highly plausible at the same time. Where did this come from? There's a long and continuing tradition of secessionism in Oregon and the Northwest generally. And as you say, its plausibility--the fact that the arguments for it are so sensible--yet the fact that it's so unlikely made it appealing to me. All my characters are idealists--or at least are struggling between their ideals and the realities of the world--so a very unlikely yet plausible movement seemed like an enterprise they should be involved in. Secession also acts metaphorically throughout the book--Scanlon and Naomi separating themselves from the east coast, Sequoia separating herself from her father and her past; the secessionist movement for her is both deeply personal and political. The rejection of the patriarchy for all the characters is alive in both the personal and political. In general, secession, or moving from a state of union to separateness, is all over the book. I'm sure you know the experience of latching on to an idea like this and then seeing it in everything. The writing is so dazzling, and the plotting so assured. What's your writing process like? When I started the novel--for about the first two years of writing--it was all in Scanlon's point of view. As the characters of Naomi, Sequioa, and Clay came to life for me, I was too constrained just staying with Scanlon. As the story opened out, the points of view had to, too. One thing that helps me with plotting is that I note each scene on a card after I've written it and stick it up on a bulletin board. I usually start the board going when I hit about page 100 of a novel, which is the point at which I begin to have trouble keeping the whole thing in my head. With the note cards, I can see in a glance what follows what; I can move scenes around; I can pull something out and see all the implications. I'm not sure I could write a novel without this big visual representation of the structure, especially when I'm nearing the end and it's so hard to hold the entire thing in my head at once. As for dazzling writing--thank you. All I can say is it's hundreds of passes over every sentence, many of those reading aloud so I can hear the language. And my phenomenal editor Gary Fisketjon deserves a nod, too--from big picture elements of plot and theme to his line-level genius, he's as good as they get. My new novel is set partly in Oregon but mostly in Connecticut. As you might know, Connecticut shade and broadleaf tobacco are the best cigar wrappers in the world. When I was a kid, growing up in East Granby, Conn, lots of my friends worked tobacco. (I didn't; there was a truck farm near my house where I worked.) Shade tobacco is grown under cheesecloth nets (now synthetic). Local kids and migrant workers have worked the fields since the late nineteenth century. For now, the novel is set in the 1970s as well as the present, and I've become obsessed with researching the delicate process of growing, picking, and drying the very valuable leaves. I think tobacco will be for this novel what perfume and scents are for THE OREGON EXPERIMENT. I've made contact with a tobacco buyer who's going to get me under the nets this summer or next. And I aim to enjoy a cigar before I'm done writing the book. So far, I love the smell of cigar smoke from a distance, but smoking one makes me a little sick. Let's see....Since smells can be the most direct path to memory, in a novel that's so much about how our pasts can define us and haunt us, the emphasis on smell worked to my advantage. Related to this, I'm interested in how each character engages the world differently--Naomi's engagement is mostly sensuous, through her nose, and in this way she acts primally. Clay too acts primally, and instinctively. Sequoia engages the world through her body; Scanlon is motivated cerebrally and also by ego. Although I began with much neater ideas about each character in this regard (and they became complicated in the writing), they each do engage the world in different ways, which helps to define them, lead to conflict, misunderstanding, trouble in general and, I hope, the different perspectives that are one of the pleasures of a polyphonic novel. Welcome to publishing not as usual! 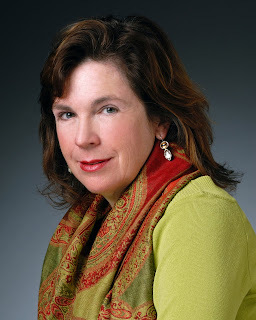 The Fiction Studio Imprint is the brain child of New York Times bestselling author, former publisher of Avon Books and Berkley Books, Lou Aronica. An invitation only imprint, The Fiction Studio publishes books in paperback and e-book format and it represents a revolutionary new way of publishing. Aronica,created this new frontier, a gathering of “ambitious wildly creative writers.” To read the whole story, look here. I have Lou coming on here later, but in the meantime, I wanted to talk to two of the writers who were invited to this imprint. Leora Skolkin-Smith's first book The Fragile Mistress is about to launch as a feature film from Triboro Films and her second novel Hystera will be published by the Fiction Studio. The Fragile Mistress was nominated for the 2006 Pen/Faulkner Award and the Pen/Ernest Hemingway Award by Grace Paley. It was a National women Studies Association Conference Selection, A Bloomsbury Review Pick and a Jewish Book Council Selection. Jessica Keener's novel Night Swim will be published by the Fiction Studio. 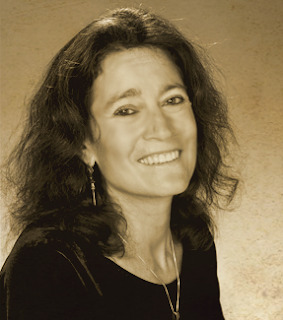 Jessica writes for The Boston Globe, and reads fiction for Agni. Her work has appeared in O: The Oprah Magazine, Poets & Writers and more, and her business memoir, Time to Make the Donuts, continues to sell. 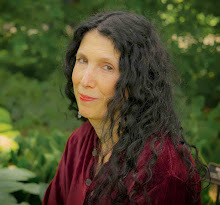 Jessica's fiction has been listed in the Pushcart Prize under "100 Outstanding Writers," and excerpts from Night Swim have been published in MiPoesias, Eclectica Magazine, Night Train and Wilderness House Literary Review, which awarded her with a Chekhov Prize for Excellence in Fiction. Another excerpt from Night Swim was awarded a Massachusetts Cultural Council grant in fiction. Both are extraordinary writers and both agreed to have a conversation about Fiction Studio for my blog. Thank you, Leora and Jessica! Jessica: So why the Fiction Studio for you? 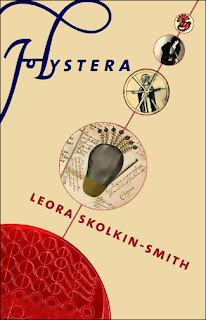 Leora: I think, for me, Lou's acceptance gave me a certain freedom, that is I could finally write and not have to hustle and please editors I knew I couldn't. It took the hopelessness away, all that anguished activity which had to with trying to fit into some a priori model in which I felt estranged.I didn't have to write to please, or be a writer for hire. I had some older European tradition in my soul. I honestly wanted to write find out who I was, what meaning I could bring to fiction. Pretentious, right? Jessica: Leora-I'm there with you and your old, European soul. When I finally took this leap to go with Lou and publish Night Swim, I felt freed (at last), all my internal blocks pulverized. But it definitely took some time to get there. (How about years?) I continue to feel more joyous everyday. I love this sensation of regaining control. I love knowing that I can leap after wild marketing ideas and pursue them without waiting for so many layers of approval. Lou is super easy and responsive and has a steady demeanor. Also, over the past decade, I've seen what's been happening to so many fantastic writers--writers whose stories haunt, disturb and inspire--yet these writers were getting turned away (and still are). It was more than just sad or disappointing for myself and for others, it started to feel wrong, like the balance--in the old Shakespearean sense--was out of whack. Suddenly, the world of fiction and literary arts is open again. There's a party and neighborhood for all kinds of writers and readers, and a way to bring variety back into books. This is what I find most exciting. Writers and readers can't all squeeze through one door. Leora: Jessica, this is so reassuring, I think one of the things that happened to me was a sense of such utter alienation..and what's so great is people understanding, feeling the same way, self-affirmation but also a affirmation in a community. I'm happier, too, and able to write, just write. And yes, the taking back of control was crucial. My experience with "regular publishing" was this internal sense of not being able to please, to be excluded among the "chosen", like a mark across the forehead, a curse of some devil phantom because at 59, I'm way past trying just to make an editor believe in my work, I had developed my own inner laboratory and did not want to just get "hired" to dazzle. I couldn't dazzle. I'm serious and my work is trying on the nervous system of a reader, and then (here's the fatal blow) I'm very" intellectual." I love literature as much as I love trying to write it and have learned so much when wonderful editors gave me the chance to write literary criticism...still, another part of me was self-lacerating when I couldn't "dazzle" and I started to internalize all the alienation, and I had to walk around with this armload of anger. Sometimes even rage. I began to feel hopeless in this era of publishing. Was my life as a writer reduced now to just making a young editor go "Wow, I love it!" I didn't want that, essentially, for myself or my work. It felt humiliating, a bit degrading, or at the very least, counter to my own desires as a writer. Writing well was about taking the risk of being disturbing, not pleasing, shaking the world up a bit, exploring the dark and mysterious and yet it seemed the publishing business was so intent on this one-dimensional "Wow, I love it!" .Lou's acceptance was different. What attracted to me to Lou's imprint was Lou. He has a quiet and accepting manner and he's a real businessman, a real publisher. It was fascinating to talk to him and hear his long experiences with publishing, how he saw the new world of e-books, how he viewed the whole world of publishing, a veteran was talking to me, a person of substantial experience. I got the feeling I was with the real thing in the sense of a real publisher in the old school way, an entrepreneur, excited about his business and what he could do in his field, he made me feel as energetic and hopeful. Now, well, I'm feeling free. I started a new book and I don't feel the old demons tugging at me,( that is the demons of "I HAVE to make sales and show someone I can be a profit-earning player." ) I'm a writer again, my only demons are mine. I'm only haunted by my own images and stories. Whether I'm good or bad, is not as important as the simple fact that I AM. Jessica: This is my debut novel, so this is a huge time for me, a breakthrough after years--dare I tell you it's been decades--of frustration. I've been represented by top agents at top agencies and earlier novels have made the rounds with no "luck" or whatever you want to call it, though I've gotten writing grants, awards, honors and all those good things. So, the obvious answer is that my experience trying to get a novel published basically sucked. I co-published a business memoir and that went well, actually. I wrote a proposal and sold it in two weeks, then supported myself on the advance I got. I wrote that book in nine months. The book (Time to Make the Donuts) is still selling. The hardcover sold out and it's available now on Kindle. But, finding a publisher for my novel was a completely different, totally unrequited experience. I sent Lou Night Swim and a mere two weeks later I got and email saying he loved it and wanted to publish it. We talked on the phone the next day. I was thrilled, but a nagging part of me still hesitated, still holding out internally for the old way--the way of my other book. But, my dad had recently died, and everything felt intense. I saw time passing so quickly. It scared me. Still, I held off for almost four months. Yet, I liked Lou immensely. He's easy to talk to. He's calm. He's a veteran. An editor and a writer. I feel I can be myself, and that, in my opinion, is golden. I also liked that he was particular about what gets published by Fiction Studio Books. This wasn't a free-for-all publication venture. Quality matters to Lou, and it matters to me. I'm a debut novelist, and right now everything feels wonderful,exciting and liberating. I'm going through copy edits. Next up, is my book cover. Every step feels new and affirming. I find myself smiling a lot and when people congratulate me and share in my joy, it's a gracious sensation. I love that Lou wants to support what I love doing, and that I have this opportunity, at long last. Here Today! is a new musical based on the love affair between Kay Swift and George Gershwin, written about in Katharine Weber's wonderful memoir, The Memory of All That. It's about to be performed Saturday, April 27th, 3:30-5:30 at the Lang Recital Hall at Hunter College, on East 69yh Street. Tickets are just $5 for members, and $12 for non members. For reservations, call Lucy at 917-371-5509 or email ziegfeldsociety@aol.com. In honor of this event, I'm reprinting the blog post I originally did with Katharine last July! This book defies labeling--though it's the story of your family, it's also the story of so many other things, so you can't really call it a traditional memoir. Can you talk about how you stretched and changed the boundaries of the genre? The book really isn't a traditional memoir, is it? It is not my story in any complete or historical sense. It is my sensibility and my awareness of this vast cast of characters in my family, starting with my mother and father, but it is certainly not the story of my life in a traditional sense. At the same time, even though there is a great deal you won't learn about me from this book, in some essential ways, it really is very intimate and personal. These are my people, and these are my experiences of my people, and here is more of their story which I have researched in the writing of the book. So in a certain sense, it is a researched group biography hybridized with a very personal memoir strategy. Is that stretching and changing the boundaries of the genre? I had no idea I was writing the book this way when I set out to do it. Though I did want to use my father's enormous FBI file as an organizing element with the contrast between my memories of childhood in contrast to the FBI 's way of telling the same story about my family. I thought the book would be much more about the ways we tell our stories. How would you say writing this book changed you? Did anything surprise you? Did you have something in mind and then the book took on a life of its own? I do think writing this book changed me, and in some unexpected ways. For one thing, it really expanded my capabilities as a writer in some practical ways. I knew how to write a novel, or at lest, after five novels I knew how to teach myself how to write each of those novels and will know how to teach myself to write the next novel, and the next. But I didn't know how to write a book like this, a book based entirely on actual people and actual events, an amalgamation of what I experienced and remembered about them, what I knew about them, and what I discovered as I researched these many very different family members and their stories. I kept getting deep into the material and losing my perspective, feeling that every tiny fact and discovery had equal value and weight for the story, which wasn't the case. If I had been writing fiction, I would have been able to recognize the extraneous material as I wrote it or at least as I revised it, so I would have had better control of the shape and pace of my narrative as I wrote. Instead, I labored over pages of material, revising and revising, only to recognize (often thanks to my editor John Glusman, who read and line-edited the manuscript thoroughly for each of three drafts) that I had overdeveloped something that didn't really serve the story at all and it needed to be eliminated. John also confronted me with the chaotic and associatively unruly order of the first draft. Once again, my experience as the author of five novels had not prepared me to write in a less organic and more pre-determined and straightforward structure. I can trust my novelist's instinct when it comes to layering a narrative with associative and tangential interludes, while always keeping the narrative arc in mind and moving the character development and story forward, often in very nonstandard ways. But that same narrative instinct had led me to craft something far too organic the first time through -- which is to say I had lost control of the narrative because I was inside it and hadn't succeeded in maintaining a long view at all. And at first I didn't have a "voice" for the story, because I wasn't inhabiting a narrating character, whose needs and wants would be clear to me, I was telling my own story. I always interrogate my narrator as I write, asking her, What do you want? What do you do to get what you want? Can you change in the course of this story? Do you change or do you fail to change? In what ways does this matter to this story? But I had failed to question myself. I needed to develop my own narrative voice, which I think I did, in the end write the book the way I would write a novel. So on the one hand I was to dependent on my experience as a novelist, and on the other hand I wasn't at first aware of the necessity to work at developing the narrative voice in exactly the same way I would for a novel. All of this was a giant learning curve. Perhaps the change and surprise for me that came out of The Memory Of All That was realizing at the very end that I now had a profound understanding, for the first time, of the difference between grievance and grief. I think I moved from grievance to grief from the start to the finish of the book. So that is the answer to the question I pose to the main character of every novel, among the questions I had to pose to myself, about change, and how it signifies for the book. I'm very interested in process. Can you talk about what you're working on now and how you work at it? What kind of legacy do you think our families leave us and how can that be understood in writing? What an intriguing question, Caroline. I think it varies tremendously from family to family, don't you? Starting with how families define for themselves what a legacy is. In some families, the legacy is absence, secrets, mysteries, lost connections, disappearances, missed opportunities. In other families it's Aunt Polly's good silver, the earlobes that mark you as a Worthington, the family tone deafness, and the right to be buried in a family plot where all your ancestors have been laid to rest since the Pilgrims landed. How we write about legacy seems to me the basis for many of the great novels and plays. Our heritage, our legacy -- does it define us, or do we define ourselves in conflict with it? I think one of the most intriguing written documents of legacy that human beings create is very literally about legacy -- a Last Will and Testament. In my case, as I write in The Memory Of All That, I discovered that my father had cut me out of his Will in response to the news that I was pregnant with my first child. In my novel True Confections, disputes about the intentions underlying ambiguous language in a Will are central to the plot. What someone leaves behind in his or her Will, in addition to material objects and money that can delight or harm the recipients, can be anything from fantastic generosity to cruel rejection. Can you talk about your writing process? Are you an outliner? I have learned to be an outliner because, challenging as it is to do it, working from a solid outline can save you from wasted energy going up a lot of blind alleys and it can make you a more efficient writer. On the other hand, my method is pretty much to make an outline and then deviate from it significantly at certain junctures. If I stuck to the outline all the way through a first draft, to the end, with no deviations, that would herald a failure of some kind on my part. It would be a sign that something about this draft wasn't really succeeding. Your novels have been optioned many times for films--how difficult is it to let go of a project and see it transformed, sometimes into something very different? I would love to have more experience with this sort of difficulty, I assure you! I have seen a lot of scripts, but nothing has made it to the screen yet. However, a short story of mine, "Sleeping," has been made into an award-winning short film by Doug Conant and Group-Six Productions, and that was an intriguing experience. (See the trailer here.) I loved the look and feel of the film, and the casting was terrific. The ending was changed -- in my story there is ambiguity, while in the film there are concrete explanations. I wouldn't have scripted it the same way. However, it's not my film, it's Doug Conant's film.